I once read a piece written by someone who was attempting to be culturally sensitive which focused on the existence of "matcha lattes" in American culture. After explaining how happy she was with it on the menu, there was much hand-wringing over how the beverage she was enjoying was almost certainly a form of "cultural appropriation" and how the Japanese were likely offended by this mutilation of their sacred drink. I'm guessing that same person would have fainted in horror at this product. The truth is that the Japanese have done a better job of adulterating their beloved tea than anyone in the West has. I have a box of instant matcha tea latte powder that a friend picked up for me when he was in Japan. It's essentially a version of instant cocoa made with matcha instead of chocolate and has the same cheap, powdered milk flavor of American dehydrated drink powders of a similar ilk. The Japanese I spoke with about Western folks who liked their food, clothes, and other aspects of culture were flattered that the interest existed. They weren't appalled that things were changed to suit Western tastes because they change everything they absorb from other cultures to suit their tastes. All of the drama over cultural appropriation of things Japanese tends to come from the wrong side. Most Japanese people don't care. I guess they have better things to fret about when they take the trouble to fret. Still, affluent white liberals (and I meet the last 2/3 of that equation, so nothing wrong with most of that) have to keep manufacturing trivialities to prove they're "good" without actually doing anything. Also, they can go around scolding other white people for what they do which is quite a bonus for the sanctimonious urban liberal. When I ran across this, I wasn't sure what to make of it. It's called "seasoning", but the first ingredient is "organic matcha tea" which should mean it is the largest component. 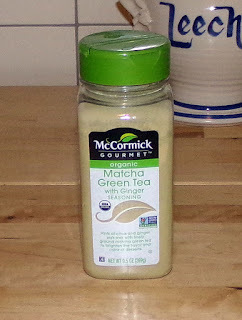 Matcha is followed by "organic evaporated cane syrup, organic long grain rice flour, organic ginger, and citric acid." Most of those seem more in line with making a beverage rather than making a dish. I wanted to evaluate this in several ways, one of which clearly was not an intended use. 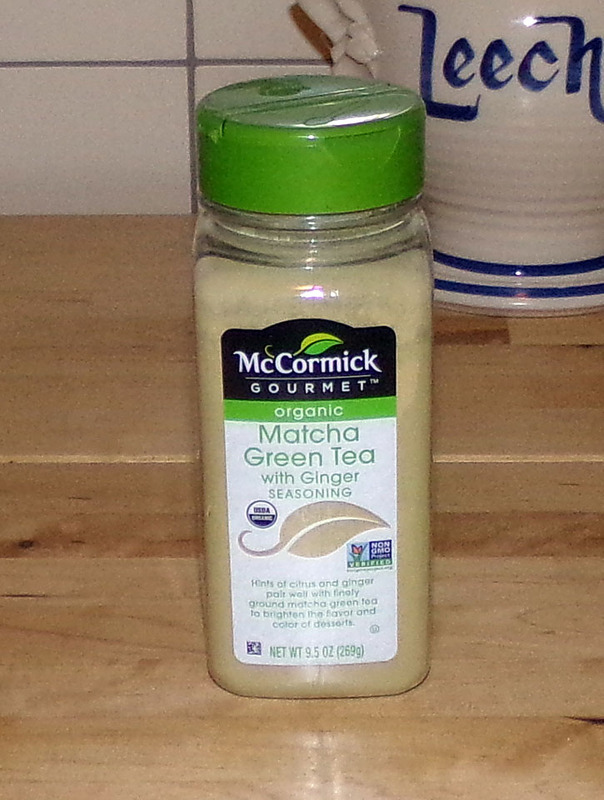 The main thing I noticed about this as compared to matcha is that the color is a lot lighter. I have a fair bit of matcha on hand and it's a brilliant green. In this, I'm guessing the color is dulled by the flour and ginger. I tasted this just as it is. Of course, it was very intense, but it was hard not to notice that the dominant flavor was ginger. The matcha was nearly annihilated by the ginger. I have no doubt that there is more matcha in this than ginger, but ginger is a more potent flavor here. The second way I tasted this was to mix it with almond milk for a hot beverage. While this may seem odd, it's not far off from making "golden milk" (milk mixed with turmeric and sometimes other spices). I wanted to get a diluted, but still purer taste of the seasoning and this seemed a good way. 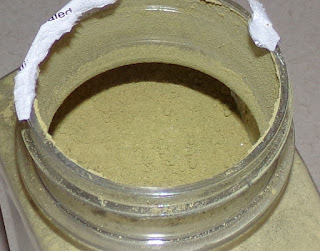 I mixed one teaspoon of spice with about 8-10 oz. of hot almond milk. The main thing I noticed was that, again, the ginger really dominated. The matcha tended to hit mainly as a warmer flavor at the front of my tonuge and the ginger hit hard and hot at the back of my mouth and in my throat. After drinking this (an actually pretty pleasant sensation), I thought that this would be amazing as a drink to have when one has a cold. The heat of the ginger felt like it'd cut through some unpleasant symptoms. The final way that I wanted to try this was as it is obviously intended, as part of a baked item. The main problem is that it's hard to know how much I should use to flavor any given food. 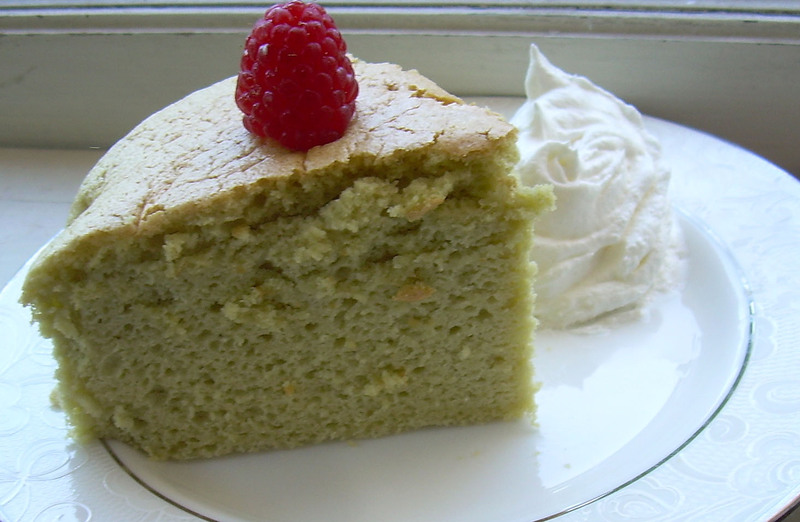 I decided to try it in something I've made many times in several variations including a matcha one, Japanese cotton cheesecake. I figured that making something that I already know so very well would afford a better point of comparison. I usually use a tablespoon of lemon flavoring or matcha (or chocolate in a bigger amount) and went with a tablespoon of this seasoning. It took on a weird yellowish-green color which was reminiscent of pea-based baby food. It was far less appetizing than the warm brown of a chocolate cake or the sunny yellow of a lemon one, but looks aren't everything. In terms of taste, the cake mirrored my other experiences in that the ginger was a dominant flavor on the front end and the matcha a far more subtle and warmer flavor on the back end. I was disappointed. It wasn't bad, but it just was not especially different from a ginger-only version. I think that the tea tempers the ginger, but it doesn't compete with it, or, if it does, it loses the race. This is a decent enough spice if what you really want is ginger, but this is supposed to be matcha green tea with ginger, not ginger with green tea. When I have this sort of experience, I'm not sure if they're trying to gauge the tolerance of a somewhat verdant and bitter Japanese drink experience or if they're just being cheap when the balance of flavors is so off. While I don't regret trying this, and I'm betting I consume a lot more of it in the winter when the warm, spicy ginger notes will seem very welcome, but I wouldn't buy it again. This was a great review, I like that you used it in a baked recipe you're familiar with so you could most accurately judge the flavor. I'm sad to hear this is a mostly ginger flavored product but am also glad to have found this out before buying it (it's expensive in my area, for what it is). I will stick with using just matcha or a matcha latte mix if I want to add oomph to my already-matcha things or simply make a straight up drink. I am with you on thoughts about "are they just testing the receptiveness of a new flavor like this or did they just cheap out and didn't care that they got it wrong?" Thanks for sharing this amazing blog about japanese matcha green tea. Matcha Green tea is not made easily but it involves so many of procedures for its composition which involves de-stemming, de-veining, shading the plant and then grinding up the leaves. 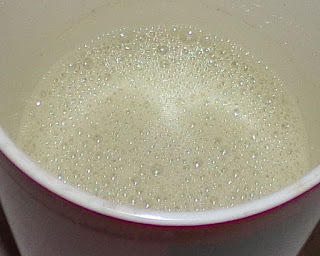 The more hard work contributed to the composition of a bit expensive matcha green tea powder.